In an exclusive interview with Restaurant India, Badal Goel, Founder, Frsh, talks about his expansion plan. 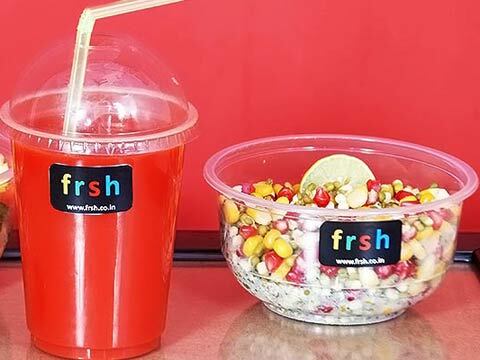 How has FRSH helped in development of food tech business in India? Frsh doesn't believe in food-tech word. Frsh is a food company and we use a lot of technology at front and backend space to make eco-system efficient and give customers a superior experience. What according to you was major draw point that made food-tech players rule the industry in 2015? People have realized that ordering things online is actually an efficient way for both merchants and customers. And, as they were buying every other stuff online for few years, food, most essential product on the earth, had to be bought online one day. 2015 was the year when people started focusing on food. But delivering food online is totally different from other online delivery companies because of its perishable nature. How are players like you helping Indian food industry in digital promotion? Online food delivery start-ups are changing the way people eat now. With introduction of many online food delivery companies, ordering food has now become super easy. Lot of people who used to skip meals earlier due to hassle of going to restaurants or ordering food on phone have now started ordering online. Earlier Domino’s was the only company, which people trusted on both food and delivery. But, now there are so many options and people are ordering food more these days. Food is a very difficult business to scale. You add delivery to it and it becomes even tougher, especially from unit economics perspective. Many things like product type, vendors, whole supply-chain, kitchen processes, delivery time etc needs to be set right at the 1st place before thinking of scale. We have solved our food part, but delivery needs to be worked upon before we think of scale. Three months back we expanded our operations to South Delhi and Noida, but now we are scaling operations back to Gurgaon. We realized 1 hour is too long a delivery time for on-demand Food Company. We will now add 2-3 more kitchens in Gurgaon (currently serve whole Gurgaon with single Kitchen) and reduce delivery time to 30 minutes from current 1 hour. We will now take another 2-3 months before thinking of expanding Frsh to other cities.